Customizable Ceiling Systems. 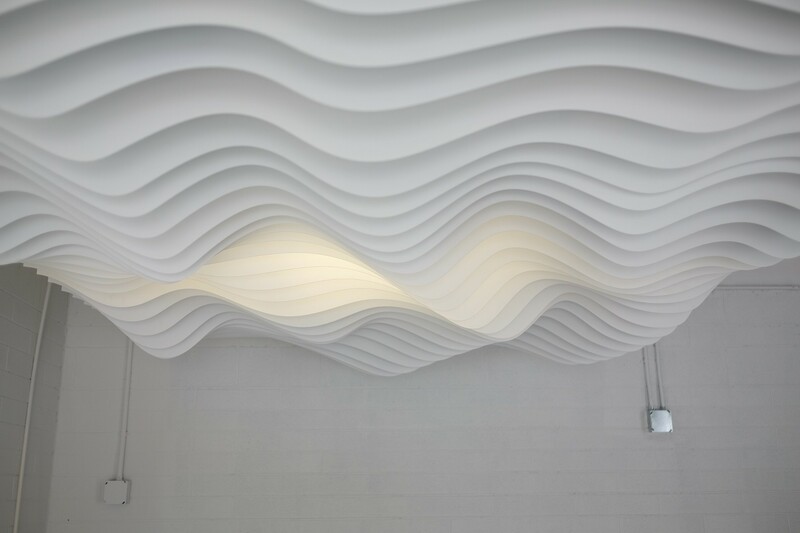 Our Customizable Ceiling Systems bring truly innovative, cutting-edge beauty to architecture and interior design. Build a tailored configuration of morphing fins and baffles to fit the unique needs of your space make your vision a reality. Each Customizable Ceiling System is highly configurable and can be adapted to fit any space. Design your own pattern or choose from our style library to fully tailor each system to your project. Customizable Ceiling Systems are guided by our project managers, to translate your goals and design opportunities into a precise workflow. We factor in all base building criteria, then produce detailed software-generated shop drawings to guide our precision manufacturing. From our proprietary software tools to state-of-the-art manufacturing facilities, Arktura infuses core architectural design expertise with aerospace-level precision manufacturing to meet your specifications and bring your vision to life. All our Customizable Ceiling Systems are designed to easily accommodate building systems and lighting. They offer flexibility that allows you to introduce new design elements into your space while helping to screen existing infrastructure from sight. Our Customizable Ceiling Systems are tailored to your needs, but built on a framework that eliminates guesswork, and reduces installation time and cost, through our proven, step-by-step “kit of parts” approach. Our easy-to-follow installation instructions provide a clear path to success for your project.